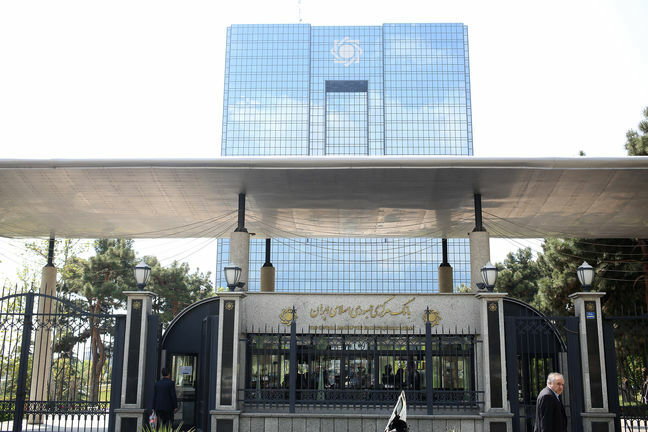 EghtesadOnline: The governor of the Central Bank of Iran, who took the reins of the policymaking body late last month, has outlined his top priorities for solving the problems and instilling stability in the economy. Abdolnasser Hemmati also wrote on Instagram that he would do his best to create stability in the currency and monetary markets by benefiting from the views of the country's elite and monetary and banking experts, as well as his colleagues at CBI and the banking system. The CBI chief listed 13 issues that he said are either currently pursued or will be tackled in the future. He named "strengthening the value of the damaged national currency" and "guiding and controlling the currency market" as his first policy, according to Financial Tribune. Stabilizing a weakened rial, which has lost much of its value since the previous year, has been a central mission of Hemmati, a veteran banker and economist with extensive experience in the insurance sector. Last summer, a dollar fetched about 38,000 rials on the open market. Since then, the rial has lost more than 60% of its value. On July 30, 2018, it bottomed out at 119,000 rials to the dollar, a record low. As a result, prices of some staple foods and raw materials have increased, putting the pressure on low-income groups. After Hemmati took office, the bank and the government have reversed their approach to the currency market by easing strict controls they had exerted when the currency crisis worsened in April. It had unified the US dollar's exchange rate at 42,000 rials on April 9 in response to volatility that saw the rial sink to all-time lows against the greenback. At the time, it also banned the physical trade of hard currency by exchange shops and the trading of US dollar at any rate other than the official rate. However, the policy led to an unprecedented rise in demand for imports at the cheap currency rate, forcing the government to ditch that policy in favor of more open market ones. Criticism of the government's forex control also intensified when reports of widespread abuse and rent-seeking by the recipients of cheap currency were disclosed. Later, however, the government allowed a secondary market to be formed where a limited number of non-oil exports could offer their hard currency at negotiated rates. On August 6, it eased foreign exchange rules and allowed money exchangers to resume work at open market rates, as part of the rescue package intended to calm the markets. As Hemmati has made clear from the outset, he is opposed to systemic intervention in the market unless at times of emergency. The market seems to have welcomed the new approach as it deepens. On Saturday, the dollar was reportedly traded at 104,400 rials and was on a falling trajectory. Sana Rate, which records the average exchange rate in currency exchange shops, reported that the dollar changed hands at 97,537 rials, indicating that the rate is approaching that of the unofficial market. In the Secondary Forex Market where exporters negotiate the exchange rate with importers, rates tend to be lower than those in the open market. Other issues raised by Hemmati have also been indirectly tied to forex market volatility. He pledged to curb the rising volume of liquidity and the "awakened inflation" and reform the financial system and the imbalance in banks' balance sheets. Fighting the unjust US sanctions on banking transactions by Iran and holding negotiations with other countries in this regard are other measures on Hemmati's list of priorities. The volatility in currency and gold markets intensified after US President Donald Trump announced in May that he is pulling his country out of the multilateral nuclear deal Iran signed with world powers in 2015. Earlier this month, Washington reimposed sanctions on Iran’s purchase of US dollars and its trade in gold, precious metals, metals, coal and industrial software. Highlight: Stabilizing a weakened rial, which has lost much of its value since the previous year, has been a central mission of Hemmati, a veteran banker and economist with extensive experience in the insurance sector.